In 1914 Juanita reads for the first time Story of a Soul of Thérèse of Lisieux (who was not yet beatified). For several years, approaching December 8, Juanita becomes seriously ill. In 1914 she has an appendicitis surgery, a delicate and dangerous thing at that time, all the more because Juanita does not have a strong health. Then she hears the call of Christ inviting her to give herself totally to him and to become Carmelite. During the year 1915 Juanita becomes a boarding student with her sister Rebeca at Sacred Heart high school. She suffers much to leave her family house since she loves very much her family. She understands nonetheless that the Lord is preparing her for the great separation when she shall enter the Carmel. Actually, she shall appreciate the school which enables her to live a fervent Christian life. She begins to write her Diary, nourishes and strengthens her spiritual life through silent prayer, daily mass and sacrifice. Although she is no exceptional student, she dedicates herself totally to her studies, including in topics she does not like (such as physics and chemistry) in order to please Jesus and her parents. She likes also to help poor or less gifted students. Very early Juanita shows a great love for poor people and helps them as much as she can. It was in this same year (1915) that she met in the street a child in rags hungry and shivering with cold. She introduced him into her house, gave him to eat and asked him where he lived. She discovered that the child was living in a slum in Santiago's suburb. She visited his family and until her entrance into Carmel in 1919, took care of him, calling him Juanito, having him eat in her family house and giving him clothes from her brothers. She went as far as organizing a riffle whose prize was her watch in order to earn money to buy shoes for Juanito. She took care of his human and Christian education. On December 1915 Juanita pronounces a private vow of chastity, promising not to have any other spouse than Jesus Christ. She shall renew this vow several times. Juanita spends her vacations in Chacabuco where she has a true apostolate among the farmer's families, gathering people for the missions, doing catechism for the children, playing with them, organizing a choir, consecrating houses to the Sacred Heart. She has a gift to transmit to children the truths of faith. Due to bad management from Juanita's father, the Chacabuco estate is sold in 1917 and Juanita's family must adopt a simpler way of life. While the family mourns the loss of Chacabuco, Juanita sees in this painful event a providential call to detach herself from earthly goods. On June 15, 1917, Juanita becomes Child of Mary and shall during her entire life keep a strong spiritual bond with Mary to whom she entrusts everything. She reads the spiritual writings of sister Elizabeth of the Trinity (a French Carmelite who died in 1906 in Dijon and would be beatified in 1984) with whom she discovers a great spiritual affinity. She tries to live as much as possible in the presence of God whom she loves more and more. She told her brother Lucho: "What do you want, Lucho, Christ, this mad of love, made me mad." In September of 1917 she enters in touch for the first time with the Carmel of Los Andes, having the interior conviction that it is the place where God is calling her. In August of 1918 Juanita leaves Sacred Heart school to substitute in the family house her elder sister Lucia who just got married. She dedicates herself to her task and accepts any sacrifice for her family's happiness: "I did not believe that family life was a life of sacrifices. This helped me to prepare myself for religious life." Her brother Lucho shall say that she was "the jewel of the house". Juanita wrote in her Diary: "I must strive to look for the happiness of all. My resolution is to sacrifice myself for all." While having a very intense spiritual life Juanita lives as a young girl of her time. She likes to be with her family and friends. She enjoys sport very much, especially swimming (where she excels) and tennis which she discovers with enthusiasm. She enjoys the beauty of the see and of the mountains. The human and the supernatural build in her an increasingly harmonious synthesis: she as a very deep contemplation of the mystery of God in silent prayer, while being natural, kind and joyful with her friends. Albeit she suffers often because of her poor health and of spiritual purifications in her heart coming from God's grace, Juanita is joyful and likes to joke. In January of1919 she visits for the first time the Carmel ofLos Andes. There she receives the confirmation that it is the place where God is calling her. 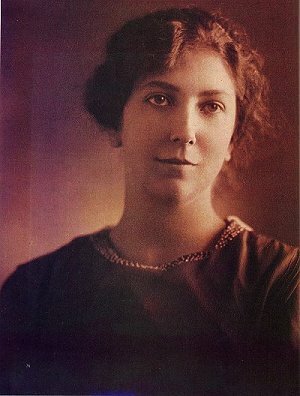 On March 25, 1919, she writes a magnificent letter to her father to ask for permission to enter the Carmel, telling him that since her childhood she searched for happiness but understood that only God could make her completely happy for ever. She wishes to belong totally to him in a life dedicated to prayer and penance. Deeply moved, her father in tears grants her permission. Then Juanita feels in her heart at the same time the greatest joy and the greatest suffering: joy because she shall consecrate herself totally to Christ who attracts her so much, suffering because she shall leave her family she loves so much and which shall suffer a lot from the separation. On May 7, 1919, she enters the Carmel of Los Andes and receives the name of Teresa de Jesús (Teresa of Jesus).